Both Grant and Sherman were damaged souls who would redeem tarnished reputations in the brutal crucible of war. They were both haunted men, tough and manly on the outside, but hypersensitive to criticism, and they sustained each other at troubled moments. Even though Sherman was more prolix and irascible than Grant, their letters display generosity, trust, and mutual admiration. 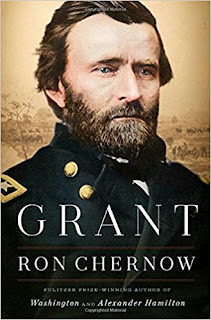 As one of Grant’s officers wrote, “In all the annals of history no correspondence between men in high station furnishes a nobler example of genuine, disinterested personal friendship and exalted loyalty to a great cause.